Traveling to India? This can be the suitable spot on the web to locate places to swim in India. Each day you might be not swimming you happen to be losing precious time to improve your abilities a be a far better swimmer! No more excuses!. There are often discounts accessible to senior citizen and little youngsters. Find out by contacting your nearest pool in India. We at present have the following Salt Water Pools in India, but we are usually grateful for any corrections or contributions. Get in touch via our contact type. Most from the Pools give both open lanes for independent swimming and also guided activities like water aerobics or aquabike. These would be the Salt Water Pools in India other users have reported. Are you a local and your pool just isn't listed? Contact us to ADD IT. It's totally free! Please, use the contact details provided at every single pool profile. Swimming is actually a superb concept to help keep your body active during your visit to Delhi (India), or perhaps if you are a local. 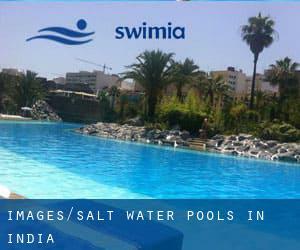 Swimia helps you to find your closest Swimming Pool in Delhi. It's difficult to visit India without dropping by Mumbai (with 12.691.836 residents). Presently Swimia is showing you all the Swimming Pool in Mumbai as well as the closest pools located in its vicinity. Without a shadow of a doubt, swimming in Kolkata would be the greatest method to unwind after function. Take a couple of minutes to browse Swimia's catalog to find a Swimming Pool in Kolkata. Holding an estimated population of 5.104.047, Bangalore is one of the most important cities in India. Check all the Swimming Pool in Bangalore and its surrounding area. Bhulabhai Desai Road , Breach Candy , Mumbai (Bombay) , Maharashtra (Postal Code: 400036). Swimmers like you reported 33-1/3 yards, Salt Water, Indoors. Unfortunately we do not have the email address of this Pool, but we can provide you with the phone number.